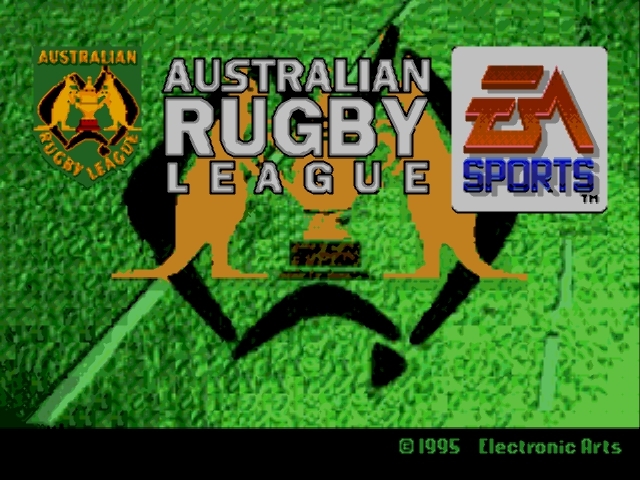 Australian Rugby League was developed by I-Space interactive and published by EA Sports with a release year of 1995. 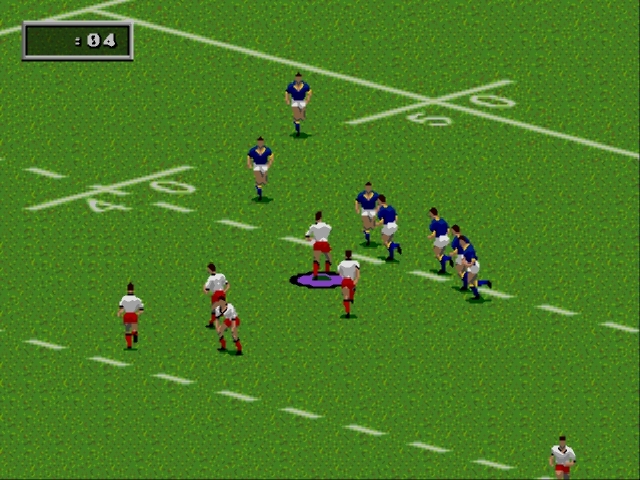 It is based on Rugby World Cup '95 by Creative Assembly, but uses rugby league rules instead of Rugby Union. 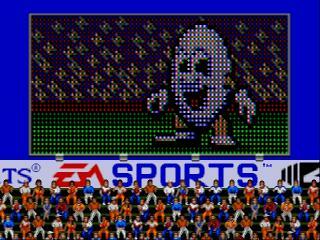 There's really not much to say about ARL. 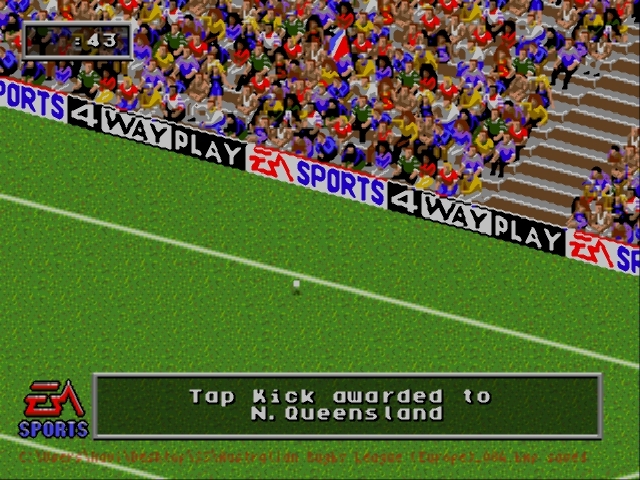 The game received decent reviews with some criticisms regarding lack of tactics, difficulty pulling good kicks during play, and there is a known bug that causes ball possession to switch teams in the middle of a play for no reason. The lack of physical difference between forwards and backs is also often mentioned. Now you can add videos, screenshots, or other images (cover scans, disc scans, etc.) for Australian Rugby League (Europe) to Emuparadise. Do it now! If you haven't noticed yet, we have a retro game of the day feature (top-right of the screen) wherein we feature a new retro title every single day! Now, you can vote for your favorite games and allow them to have their moment of glory. 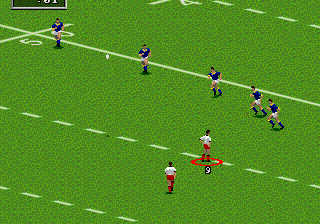 Click on the button below to nominate Australian Rugby League (Europe) for Retro Game of the Day.